The prestigious car maker Bentley isn’t known for loaning its name willy-nilly, neither does the Prince of Wales his Royal Warrant. So a company that is afforded both must be pretty special. Despite these accomplishments, and the fact that they are one of the last hand crafted leather goods makers left in England, you still may not have heard of Ettinger. And that, curiously, is also what makes them so special. 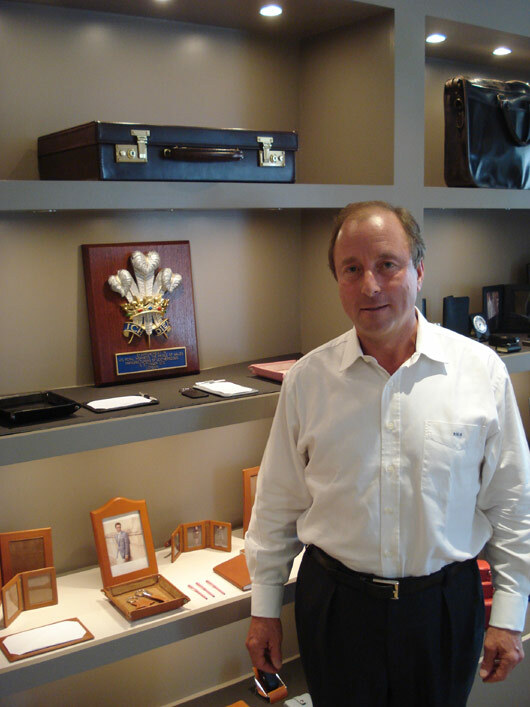 Started over 70 years ago by Gerry Ettinger, who was by trade a film producer, the company traditionally manufactured their luxury leather goods for other brands. But in the last few years under the direction of Robert Ettinger, Gerry’s son, they’ve emerged from the shadows as a luxury brand in their own right. 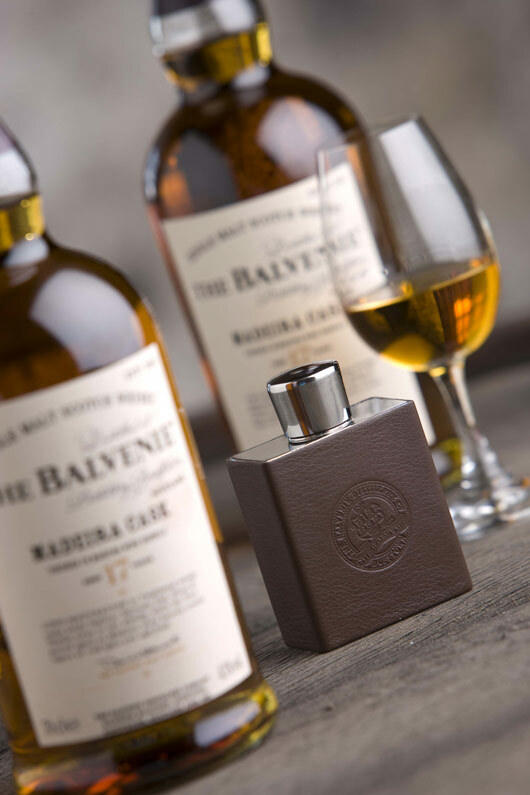 Under the marque ‘Ettinger of London’, the company are providing a complete range of goods from wallets, bags and hip flasks, to some special collaborations with the likes of Bentley and whisky maker Balvenie. And all are available, world wide, on their new retail website. Ettinger is a wonderfully British company, from the unassuming Putney terrace house in which the company has its offices and showroom, to the continued dedication to hand crafting and the elegantly simple but inspiringly original products. 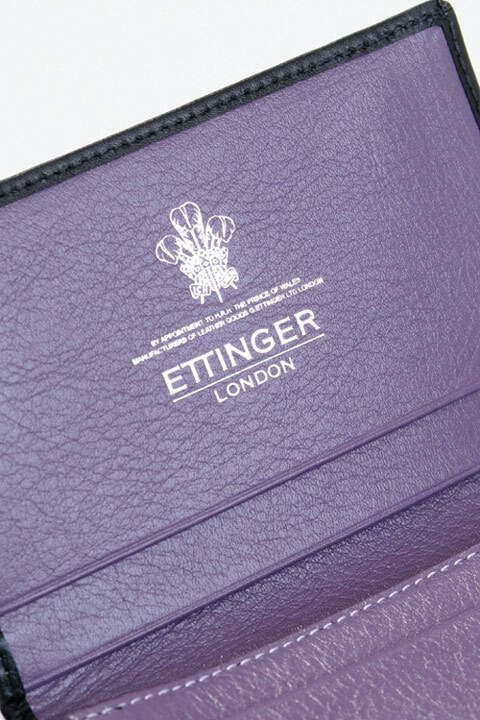 Look at the manly and achingly beautiful Purple range of wallets (which first attracted me to Ettinger) or their sophisticatedly clean cut TT collection and you see there is something quietly confident about Ettinger; and you don’t get more British than that. Q: I understand everything is made here in the UK. Is that right? Robert Ettinger: Yes that’s right. Our factory is in Walsall, North Birmingham, a traditional factory which makes products largely still by hand and exported all over the world. But we also have outworkers as well, which is the traditional way of the factories working in the Midlands; where craftspeople work from home. You do the machine side of it, the cutting, but then all the turning and the gluing and handwork, which can only be done by hand, is delivered to the outworkers. Q: And how difficult have you found it to maintain that ‘Made in England’ label? Some companies complain that even if they wanted to manufacture in the UK they’re unable to find the skilled workers. RE: There is a rigorous training system, but I also think the other reason we can continue to manufacture in the UK is that we are at the upper end of the market. The quality and the price allows us to make in England, and we’ve found in the last two years, almost since the recession, that people are wanting things made in England. There is a feeling of ‘lets buy British’, something that’s made here, with some heritage, and that allowed us to carry on; and we are even taking more people on, training them up to our standards, which are high. Q: Really. What sort of time period are you talking about to become fully qualified or proficient to make one of your wallets? RE: To [be able] make one of our products at the right speed takes about four to five years. It is highly skilled, and watching them it is amazing how fast they work. Q: How tempting is it to outsource to places like Eastern Europe? ER: I’m not sure Eastern Europe or the Far East could do our sort of leather work. So it’s not an issue. It is in the blood actually. Pick up an Italian wallet and it is slimmer but it has a definite Italian look, but something made in Britain is a little heavier, not in weight but in terms of look. In some ways it’s like comparing an Italian suit to a British suit, or English shoe to an Italian one. There is something there. If we asked our people to make an Italian look wallet I don’t think they could do it because it’s not in the heart. Q: So how did the Bentley collaboration come about? Did they approach you? ER: Yes they did approach us, and now it’s a collection which is dual branded ‘Ettinger of London for Bentley’ and sold in Bentley dealerships all over the World and through Bentley Online. It’s a great collaboration actually they are a very traditional British Brand. Now we are starting to make products in the leather colours of their upholstery so that the products will match the car interiors. Q: Are there any other collaborations in the pipeline? ER: We have a couple of others. For example, we are doing a special flask for Balvenie Whisky. We work with Boodles the Jewellers, and have started to put diamonds onto leather goods, which we don’t think has been done before. It’s very cleverly done. The Diamonds are put onto a base and then the holes are cut by laser, which is the only way to do it accurately enough, so you don’t have gaps between the leather and the diamonds. ER: We are quite good at thinking up ideas. One of the things we recently produced was our pinstripe collection – to go with the British pinstripe suit. We’ve printed the pattern onto the leather using old fashioned silk screening, but it works so well on leather and it doesn’t come off. We are getting known as a leather company that’s innovative for our colour, design and creativity. Great interview Andrew. I would love to get my hands on one of their wallets…looks great. 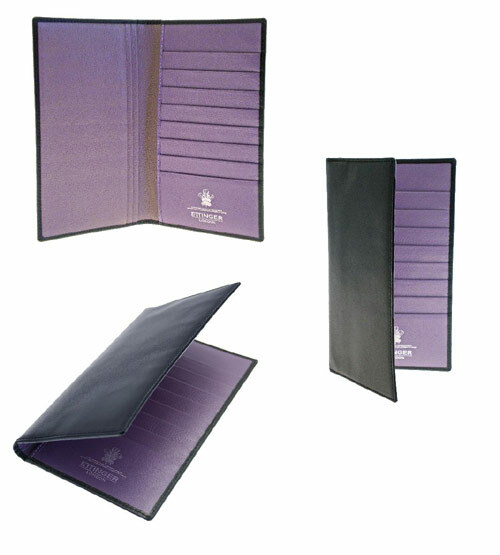 And having acquired a Purple collection business card holder I have to say they are every bit as beautiful as they look.